Blessed with snowy meridians, crystal glaciers, sprawling meadows, verdant dales, weaving rivers, sportive cascades, thick woodlands and pristine beaches - India has so many things to do. 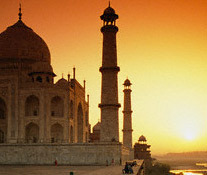 India offers wonderful opportunities for different activities. Activity Tours will give you instant access to do many things in constrain frame of time. Right from the back water cruises to mountaineering, trekking, paragliding, rafting, scuba diving, India promises to offer memory of a lifetime. 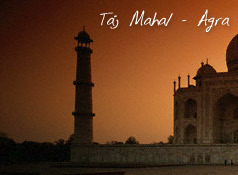 From the amateur to the professionals, Indian holiday activity tours have some thing or the other for every one. Choose your own activity and get synchronized with the Indian wilderness at your own tempo. Whether you are a veteran adventure junkie or a novice, India are sure to pose an exciting challenge to both of you. Challenge your limits and explore the other side of your with our Adventure Tours. Kerala Backwaters is a popular tourist destination for both domestic and foreign travellers. Gifted with overflowing wonders of nature, mind-blowing greenery, wildlife Kerala Backwaters are known for their breathtaking beauty.